Guide to cross the oceans and see the world in comfort and safety. 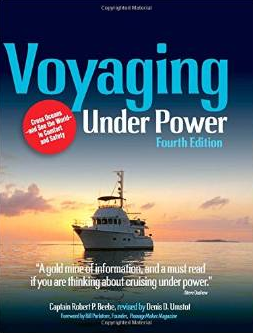 This entry was posted in Boat Handling, Books, Maintenance, Nautical Jargon, Preparation, Safety, Technology, Weather and tagged Books, Denis Umstot, Robert P. Beebe, Voyaging Under Power. Bookmark the permalink.